When Japanese cars first started landing on U.S. soil, they were little more than cheap, economical cars that existed to get you where you needed to go and little else. Useful, but boring. Until the introduction of the Datsun 240Z and Toyota 2000GT, Japanese cars didn’t even register on the sports car market, let alone compete in it. It took years for these now classics to fight their way to recognition, but even after these cars, their successors and other Japanese offerings gained clout and became some of the premier options for high performance motoring, there was still something missing: The Japanese supercar. Enter our dashing protagonist. Going by the numbers, the NSX is far off current supercar standards; yet, even today it is amongst the very best driver’s car and, in its day, was nothing short of revolutionary. Hand built by a small number of skilled craftsmen in Japan, it’s extremely rigid, lightweight all-aluminum monocoque chassis sits atop all-aluminum unequal-length a-arm suspension front and rear and is covered in, you guessed it, all-aluminum body panels. The first of its kind, the body panels and suspension components alone save more than 400lbs over steel equivalents. 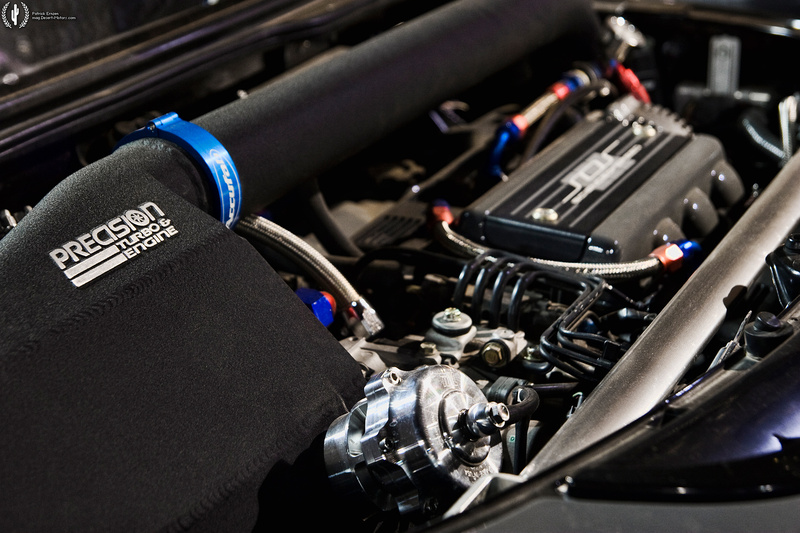 Its high-revving V6 was the world’s first production motor to feature titanium connecting rods and forged pistons and the first to feature variable valve timing in the US. All of this adds up to performance and quality that not only met, but, in many cases, surpassed its European rivals and at a fraction of the cost. 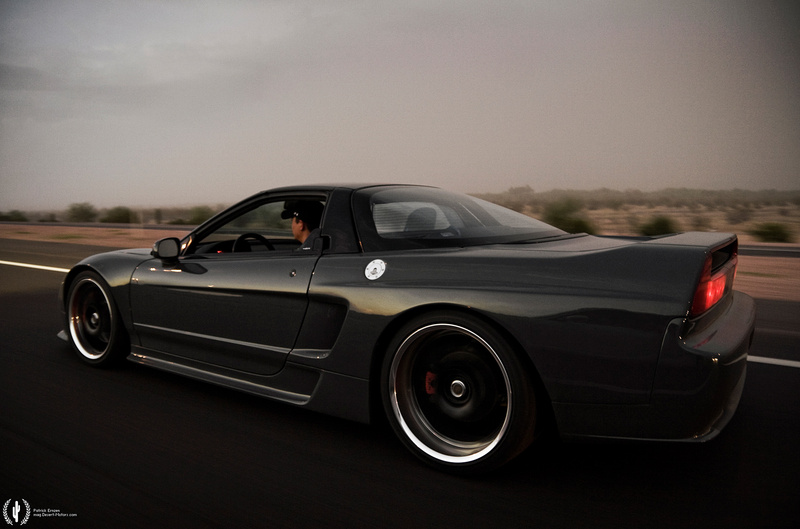 The NSX was quickly dubbed “the everyday supercar” and, given its technology, manufacturing process and the end result, it’s a much deserved title. If you’re still not convinced, maybe these guys will be more persuasive: Gordon Murray, Aryton Senna and Alex Zanardi. More than your typical NSX owners, Gordon Murray has said that the NSX was a major contributor to the design direction of the McLaren F1 and considered the NSX’s ride quality and handling to be his target for the F1’s. Aryton Senna’s input played a part in the car’s development in a big way. Senna worked directly with Honda’s chief engineers while developing the NSX prototype at Honda’s Suzuka Circuit, giving invaluable feedback regarding both its chassis and driving dynamics. After winning back-to-back CART championships in 1997 and 1998, the Alex Zanardi Edition NSX was introduced and, fittingly, Alex himself received the first of the 51 produced and sold exclusively in the US. But if you’re still not convinced, have no fear. There is plenty that can be done to bring the car up to speed and in the case of this particular 1994 NSX, plenty of it has been. There’s little that remains untouched, but at the heart of the transformation is a substantially reworked V6 that more than triples the original motor’s output, putting down a staggering 665rwhp. A jump in power that drastic doesn’t come easy and, in this case, it’s forced. A Precision Turbo PT67 pulls in copious amounts of air and pounds it through a custom air-to-water intercooler and into the sleeved cylinders. That air is quickly evicted from its new home, but not before a half dozen very angry ScienceofSpeed forged pistons squeeze it for every last drop of power and expel it through a custom, four inch turbo-back exhaust system. And judging by the sounds that come out of the back of the car, that air is none too pleased by all of this. While a beauty in factory form, this car’s gone under the knife for some extensive cosmetic surgery to get its low, dark and handsome look. The most drastic changes come from a Cantrell Studios wide body conversion package and GT-Series front bumper. 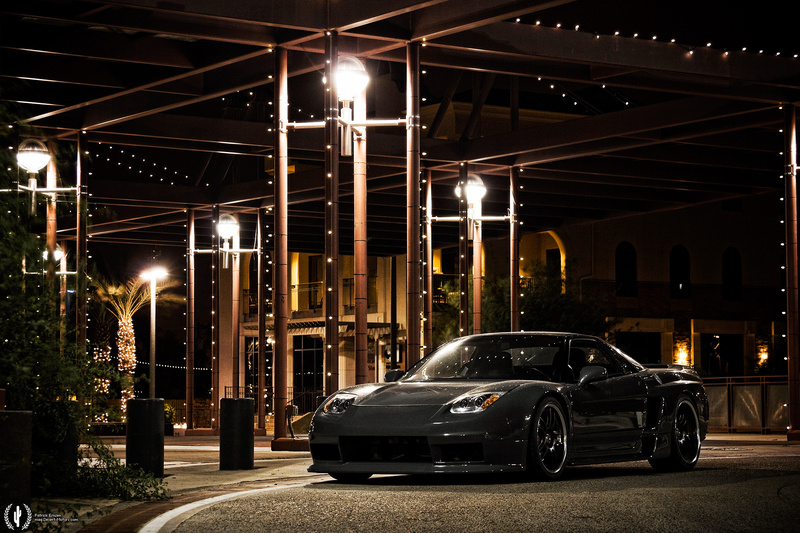 The NSX shaves eight years of its age with the facelifted 2002+ headlights and a 2002+ style carbon fiber composite hood. The Grigio Telesto (a 2007 Lamborghini LP640 paint color) beast is dropped on a set of black Volk Racing GT-V wheels by way of TEIN Mono Flex coilovers and it is immediately apparent that this car is all business. NSX-R chassis reinforcements, stabilizer and bushings, Dali Racing sway bars, an Okuyama rear shock tower brace and Movit 4-pot calipers and 12.5” rotors ensure that it devours corners just as easily as it does long stretches of straight tarmac. Going 14 years relatively unchanged, it’s only natural that the NSX slowly lost some of its notoriety as one of the greatest sports cars of all time. As technology and performance standards increase, those of the NSX slowly appear increasingly mundane and even Honda’s current Accord puts out similar horsepower and acceleration numbers. However, it is important to remember that cars are about much more than just numbers and that not only did the NSX bring new things to the table, but it did so in remarkable fashion and at a price that embarrassed the competition. Even judged by today’s standards, it is a masterpiece of engineering and styling and a platform that, if put into the right hands, is something truly spectacular.